How can we manage environmental risk across 1 979 179 km² of the ocean and 100 915 km of coastline? How can we make a contingency plan to protect this vast area? And how can we make a new plan every fourth year with comparable results? That’s what the Norwegian Coastal Administration had to figure out. Preparedness requires constant practice, like this exercise conducted in Svalbard in 2016. Photo: Norwegian Coastal Authority. Imagine that sometime in the future you want to know about environmental risks in the coastal area where you live. Your internet search shows you a map with little squares in different colours. Intuitively you know that the most intense colours signal the highest risks. You can zoom from a broad overview to details of the coastline. Click on a square and you get more information about the risk: ship traffic density, types of cargo, environmental vulnerability, what species are in the area in different seasons, how vulnerable they are, and so on. A system that can do all this is what the Norwegian Coastal Administration (NCA) is building right now. The NCA is an agency of the Norwegian Ministry of Transport and Communications. It is responsible for services related to maritime safety and infrastructure, transport planning and efficiency, and emergency response to acute pollution. The Norwegian Parliament expects the NCA to maintain preparedness against acute pollution, and the response must be tuned to the environmental risk at all times. With vast areas of ocean, this is a substantial challenge. To calculate the risk of an acute spill from an accident at sea one needs information about the ship (its type, size, type and amount of cargo and bunker oil, speed, distance from land and other ships), about conditions (weather, visibility, time of day/year), about risks (probabilities of collision, grounding, fire, foundering, different types and sizes of spills), and much more. The environmental risk related to shipping accidents is the risk of an oil spill multiplied by the consequences for the environment. These are determined by factors like spill size, oil type, species and ecosystem vulnerability, weather, time of year, recovery time and many more. Given the huge scope of the task and the data analysis it involves, the NCA must renew its approach to environmental risk assessment. We are now replacing a scenario-based approach with a dynamic and holistic system, based on more detailed knowledge of the risk for shipping accidents and environmental vulnerability. Today’s better access to digital data and computing power allows us to go digital on most of the risk assessment process. 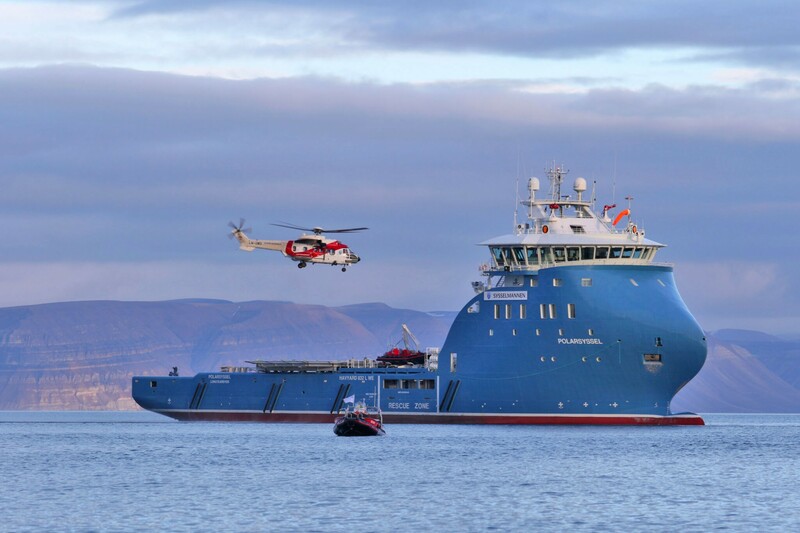 Safe navigation for ships in all Norwegian waters. 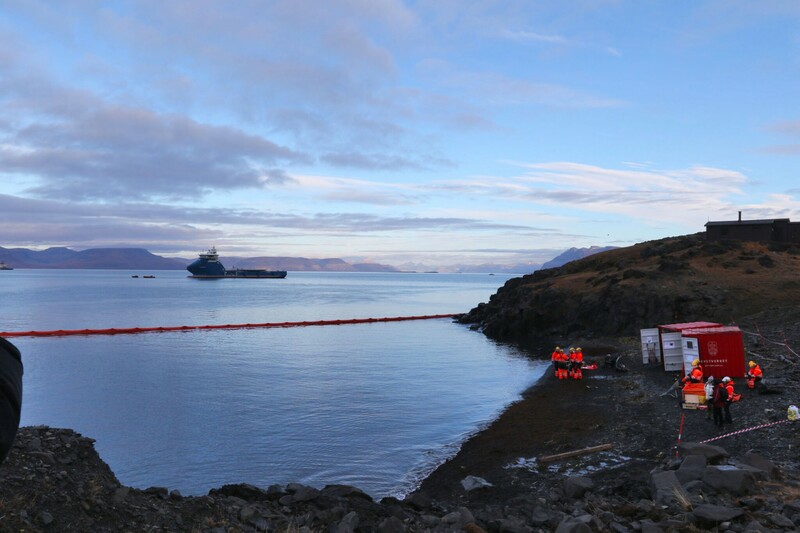 Proper oil-spill recovery equipment in the right place at the right time. Proper support for operational personnel from environment advisers and logistics. Proper management for an oil-spill recovery operation. The new tools being developed by the NCA will improve several aspects of contingency planning. 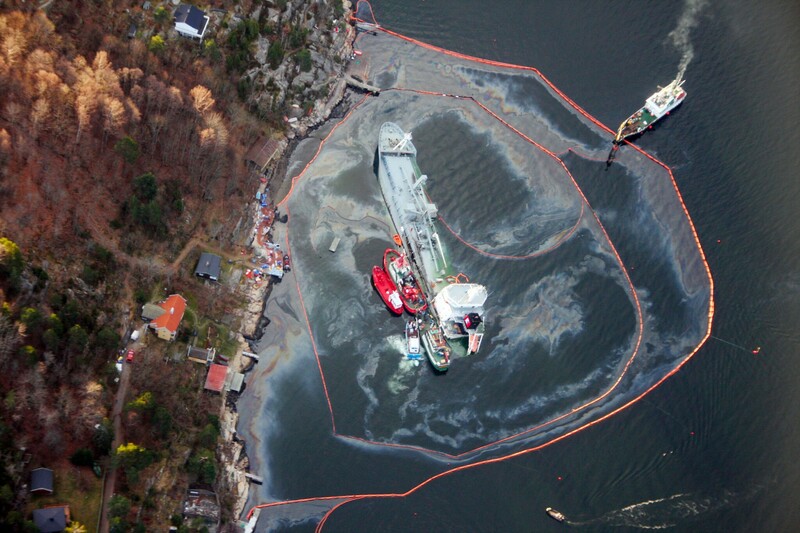 Environmental risk will be assessed for all Norwegian waters, not just for a few scenarios, as was previously the common way of doing risk assessments. Contingency plans will be more adapted to the actual environmental risk at a specific time. The process of creating plans based on environmental risk in specific areas will become more efficient and accurate. By connecting the environmental risk assessment with the National Transportation Plan, it will be easier to include environmental risk among the criteria for prioritizing projects, thus reducing the probability of accidents related to ship traffic. More people will gain more insight when our data, tools, methods and results are available to other government agencies, scientific research institutions, consultants and the public. The NCA approach can be used to improve efficiency and quality in other fields of governance. Much of the information we need for contingency planning is available in databases. Details about ships’ position, course, speed and much more can be gleaned from AIS messages (AIS­Automatic Identification System), merged with data from other sources, and used in risk-calculating algorithms. Computers can be programmed to collect, arrange, and process these data automatically. This frees up our staff for tasks that match their competence, and that cannot be automated. An employee who is studying the impact of an oil spill is using her skills much more profitably than if she were setting up data for analysis. We want our staff to spend more time on activities that mitigate risk. A digital and automated process requires accurate, quality-controlled, up-to-date information. The data must also be coded, stored, and presented in a consistent way. Corrupt, missing or incorrectly formatted data could halt the analysis or give unreliable results. This means that all our suppliers must ensure data accuracy and quality-control from start to finish. In other words, digitalisation and automation at the NCA will affect other government agencies and research institutions as well. An example: One of the NCA’s most important suppliers of environmental data is the Norwegian Environment Agency, which collates information from a wide range of research institutions. When the NCA does a risk assessment, we want to include the newest, most relevant data. Luckily, this information is easily available through “Norge digitalt” or “Geo Norge”. But are we getting the latest bird and whale counts? Are we getting the latest data on their vulnerability? These types of questions put pressure on the Norwegian Environment Agency and research institutions to stay on their toes. But there are other ramifications as well. Researchers collect data with a specific purpose in mind. If the data are used for a different purpose, they might give distorted results. Hence, secondary users must learn how data sets are built, what they are intended for, their strengths and limitations. When a data set has been available for a while, new possibilities are often discovered; with a little twist, the data can meet new needs. But in an automated process, such twisting requires redesign and alterations of the entire data supply chain. Without cooperation between data suppliers and data customers, some parties will experience system failures or errors. New dependencies in the supply chain might be a new way of thinking for data suppliers. Even the thought of being part of a supply chain might be a change of paradigm. However, this is one of the implications of digital processes in governance and other types of business cooperation. Where the Norwegian Environment Agency used to make a data set available and be done, they now have to consider several customers and uses of their data. New dependencies will limit the freedom to change the layout of a data set from one version to the next. They might even limit the freedom to explore new possibilities in analysis or graphical presentation of data. Before any change is made, some of the important users will have to be consulted to evaluate its potential impact. Are digital processes, automated risk assessments and new tools a benefit to all, or will this be an undue added burden for the data owners? When we discuss with scientists and data owners, we hear that they appreciate our use of their data; it is a confirmation that the data are important and will usually help them get the funding required to update and extend their data sets. When science meets governance – when research data are put to use in management plans and reports – this often creates new demands for data, and new possibilities open up. Elaborating these possibilities early in the planning phase might lead to a better project. Likewise, if standardised coding, storage, and formatting of data sets is implemented into the research design, Norwegian society will save money on a more streamlined process from research to governance. Having a pre-planned path from research to policies being made by the Norwegian parliament has to be a goal for some of the research. The new environmental risk assessment tool currently being developed by the NCA will be available for other government agencies, NGOs and researchers. The methodology, data and process will be open to scrutiny. Our intention is both to provide a useful tool, and to receive input and ideas on how to make our analysis and assessments better over time. Sharing and cooperation will save money and help others with similar needs for risk assessments. We hope that other agencies will see new possibilities and develop other tools or help us evolve our risk assessment tools. This openness will also give others insight into how the NCA constructs its oil spill contingency plans. The NCA believes that open governance builds trust. The NCA is conducting several projects working together towards a digital and automated risk assessment. 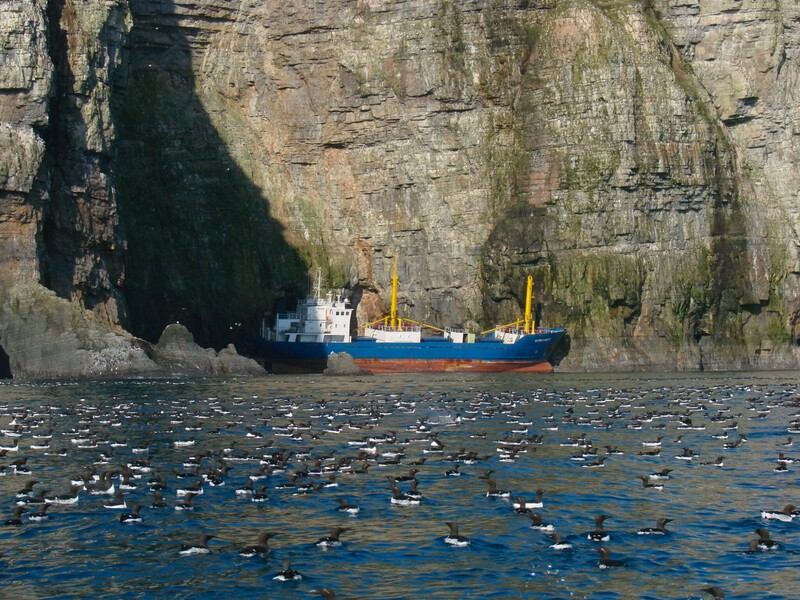 The result will be a ship and environment risk assessment tool made of three modules. All will have a resolution of 10 × 10 km, and coastal regions will have 1 × 1 km resolution. Values can be aggregated to larger areas. To cover seasonal changes, we will adopt a one-month resolution for both historical and future assessments. AISyRisk is a module for assessing the risk related to shipping traffic. It utilises AIS-data, information about the ship, weather data, historic accident statistics, and advanced algorithms to calculate the probability of ship accidents, risk of an oil spill and loss of life. Probabilities and risks for collisions (head-on, overtaking and crossing), grounding (powered and drifting), fire, foundering and loss of life due to accidents are calculated. The EnviRisk module utilises data from AISyRisk, environmental data from havmiljo.no, other environmental data sets, and oil drift models to calculate environmental risk. The system will give users the possibility to drill down from an overview to detailed information about the area, ecosystem, species, vulnerability and estimated recovery time. The forecasting model currently being used by the NCA gives a linear forecast based on economic growth and growth in transported goods. It is assumed (but not confirmed) that the change in transported goods has a 1:1 relationship with sailed distance for the appropriate ship types. The temporal and geographic resolution cannot provide the details we need for environmental risk assessments. Therefore, we are looking into new models for forecasting ship traffic. A model based on the combination of historic AIS-data, statistical ensembles for forecasting, economic growth and growth in transported goods is so far the best alternative. The forecasting module is important to foresee future risk.